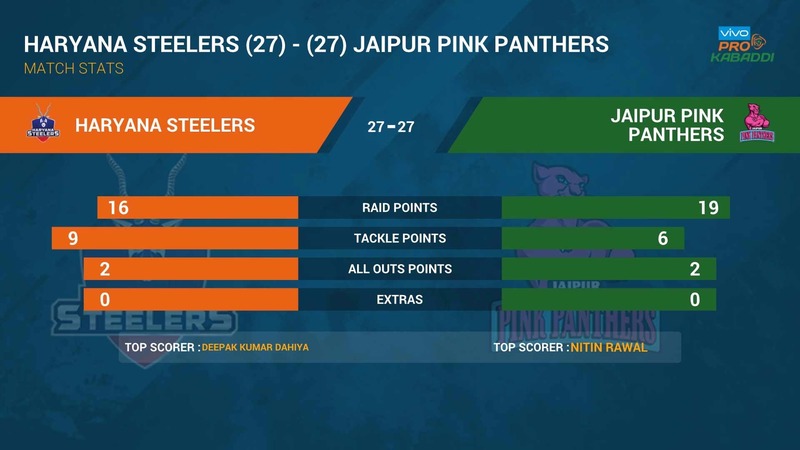 Haryana Steelers ended their home leg at the summit of Zone A after a 27-27 tie with Jaipur Pink Panthers at the Motilal Nehru School of Sports in Sonepat on Thursday. Young Nitin Rawal was the star for the visitors as he picked up a Super 10 and ending with 12 points, while Deepak Kumar Dahiya continued his fine form by picking up 7 points for the hosts. 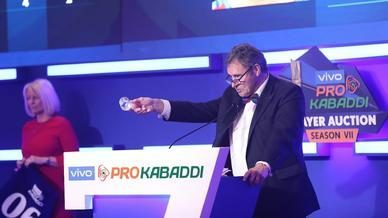 Both teams started cautiously after decisive losses in their previous matches. 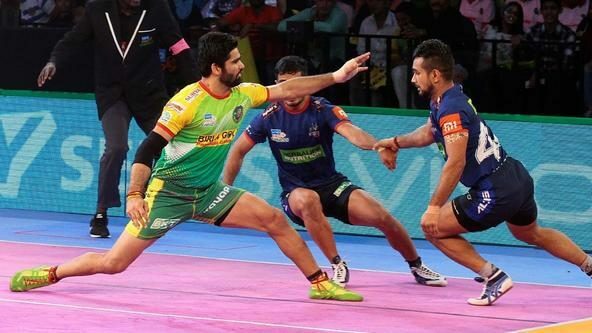 Manjeet Chhillar made a comeback after missing five matches due to injury while Surender Nada and Mohit Chhillar surprisingly did not feature for Haryana. A slow start complete with a couple of do-or-die raids were the only highlights of the first 10 minutes, as Haryana led 8-4. Steelers’ captain for the evening, Wazir Singh was at the receiving end of a nasty clash and needed to be substituted to tend to his injuries. 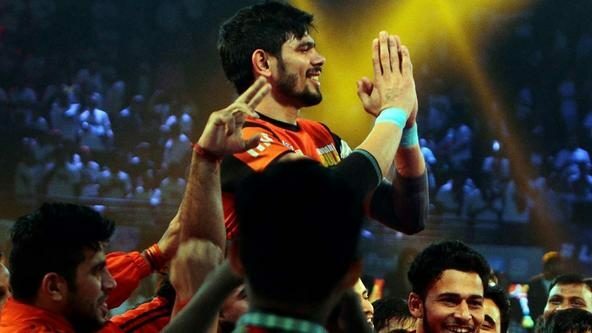 But his replacement, Mayur Shivtarkar made a statement soon after coming on and was one of the chief architects behind Jaipur’s first All-Out of the match in the 15th minute. 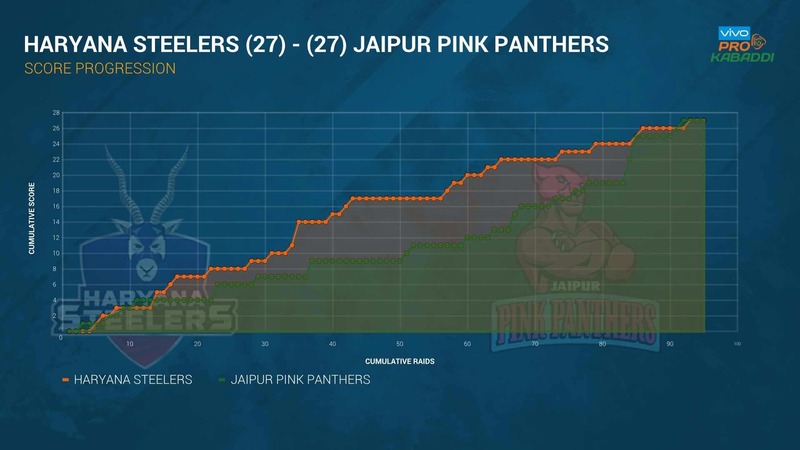 One-Man-Army Manjeet failed to make a mark as Jaipur ended the half with zero tackle points and trailing 17-9. In the second half, Jaipur’s defence finally got a foothold in the game by pulling off a super tackle in the 29th minute to narrow the score difference to six points. And with five minutes remaining on the clock, Jaipur forged a brave comeback. Manjeet got his mojo back to initiate two tackles in a row, while youngster Nitin Rawal pulled off a fantastic super raid in the 36th minute. This led to Haryana’s first All-Out of the match in the 37th minute, with the score tied at 25 apiece. 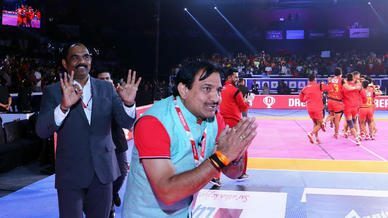 With the last flurry of action from either end, Sonepat’s last VIVO Pro Kabaddi match of the season ended tied 27-27.